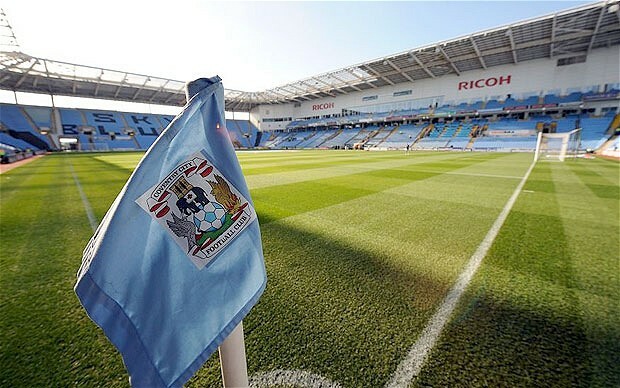 ‘A statement on Coventry City’ – by City fan Rob Summerfield. Earlier this summer, we highlighted one City fan’s email to The Football League in protest at the club’s proposed plans to groundshare with a fellow Football League club. Today we are highlighting another City fan’s view. Over the past few weeks, statement after statement has been released by numerous sides, ACL, administator Paul Appleton, the football club themselves – now fan Rob Summerfield has released a statement on the current crisis at the club. A statement on Coventry City. “And still it goes on. He said this, they promised that. Well, it seems to me nobody is interested anymore. We can wait until our children are tired and squabbling over toys if we want to hear this kind of thing. The fact is, a club who welcome an investigation into their fiscal activities, are incapable or unwilling to submit financial accounts in the required legal timeframe. They have left our own ground and will play ‘Home’ games 35 miles away when it was always possible to stay at the Ricoh. They are preaching openness and yet their head honcho is seen less than a hermit on an extra bad shyness day. They employ, sorry, we’ve been paying for, a chief executive whose idea of democracy is to take not one blind bit of notice for an ever more deafening clamour for change. The official club web sites and pages are little more than a SISU propaganda unit. On Saturday there was a pitch invasion during the first half at Crawley. At half time they noted there was to be three minutes of time for ‘stoppages.’ Like it was the usual injuries when it was in fact due to supporters of a football club reacting, albeit in the wrong fashion, to having their hearts ripped out. So Mr. Fisher I would rather you concentrate less on statements. More on the shocking state of a once proud football club that you have turned into the laughing stock of football. You employ star lawyers and yet are sending young footballing lambs out to the slaughter on the pitch. You are the most despised owners in football history yet still you remain. « Coventry City Football Club release statement in response to ACL statement.